● Destination Lighting offers an ongoing free shipping promotion to customers within the contiguous US who make purchases of $50+. 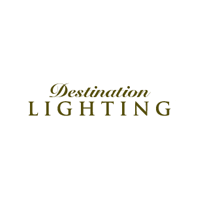 ● Signing up for emails from Destination Lighting means that you will be automatically entered into monthly drawings for a chance to win a $100 gift certificate to DestinationLighting.com. This offer appears to be ongoing. ● Coupon codes for destination can be easily found right on the website. They are frequently available and typically will save you about 10% on a select line of lighting products. ● Sales are frequently offered from destination, both seasonal sales (such as Summer Sales, or Black Friday Sales) and sales from the brands that are featured on the site. These will save you anywhere between 10-55% when they are available. Destination Lighting specializes in the retail of lighting fixtures and lighting accessories. This company, founded in 1917, first started in Seattle but now has numerous physical outlets throughout the United States. They provide consumers with an extensive selection of lighting fixtures and accessories including ceiling lights, wall lights, lamps, outdoor lighting, fans, hardware, bulbs, and other home accessories. Website visitors have the option to browse available products and merchandise, as well as place orders for delivery and issue payments online via their company's website. They also offer professional lighting and technical advice articles on their website to assist customers in making their purchases.